I just love the the profusely flowering blooms of the wonderful, purple solanum. It really earns its place in the garden. 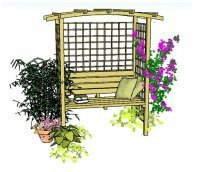 Being fairly vigorous, it can cover a garden feature very quickly if left to its own devises, and will clamber over walls and pergolas to give the most gorgeous display. Grow it as a stand-alone feature plant, or combined with other wonderful climbers for a dramatic impact. 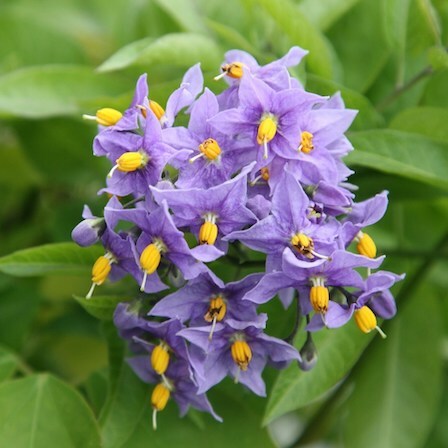 Solanum, or the potato vine (as it's often called), is actually part of the potato family! It hasn't been seen too often, mainly due to the fact that it isn't fully hardy. However, with our milder winters in recent years, it is becoming much more popular and can be found in most garden centres nowadays. And what a stunner it is, with its striking yellow stamens against purple flowers. It's a real joy to have in the garden! Like the passion flower, to survive the winter, it needs to be grown over a sunny, south or west facing structure. 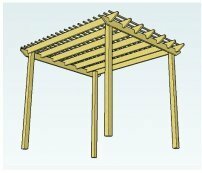 A wall, pergola, trellis or fence is ideal because of the protection it affords against cold, damp, and frost. Climbing plants really make an impression when grouped with other varieties. Planted together, they definitely have the 'Wow!' factor. 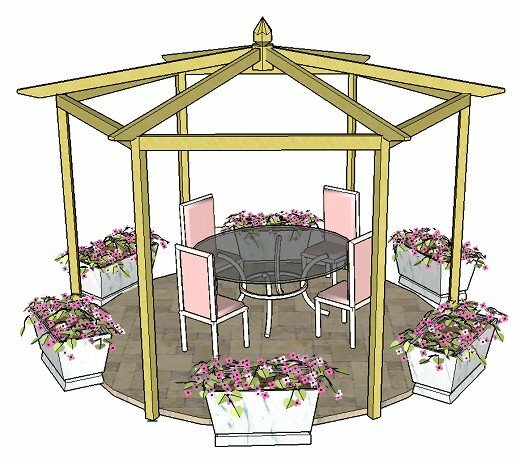 Take a look below to explore the range of varieties that you can choose from in order to make your garden structure a truly wonderful display. You will find a white variety here, which is also a lovely specimen plant. The most effective plants to grow in combination with your solanum are deep and pale pinks, with violet and dark purples. Let's look at the range of varieties that you might include to make your display really stunning. 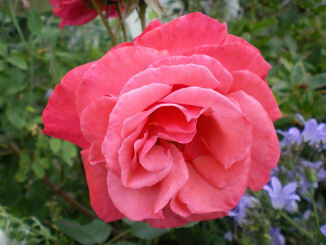 Firstly, we have the deep pink roses, such as this beautiful variety 'Parade'. Other climbing roses that would do nicely are the highly fragrant varieties 'Zephirine Drouhin' and 'Aloha'. Then there are the pale pink climbing roses, which also work well. 'New Dawn' has gorgeous, large, pale pink blooms, and you could also team up with the pale pink ramblers. 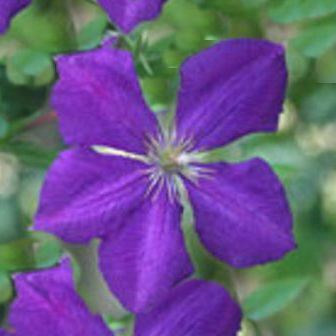 Next, we have the clematis varieties, which come in very deep purple, such as the 'Jackmanii' varieties, 'Romantika' and 'Victor Hugo'. These really offset the lighter purple flowers. The carmine pink flowers of 'Ville De Lyon' also looks good, too. 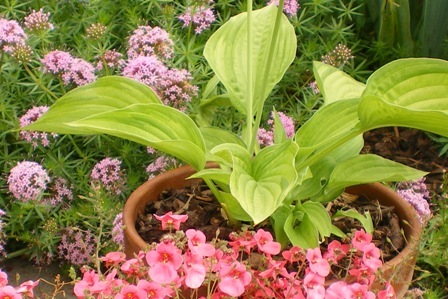 Add border planting in the form of tall and short perennials, as well as lower growing ground cover. Here are some ideas. 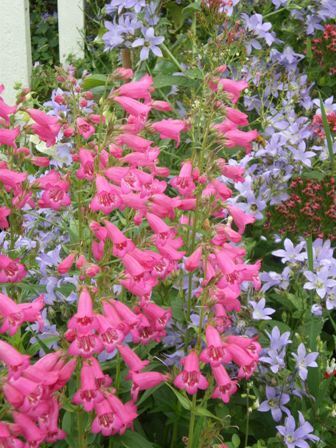 ...as do the many beautiful varieties of penstemon that can be found. 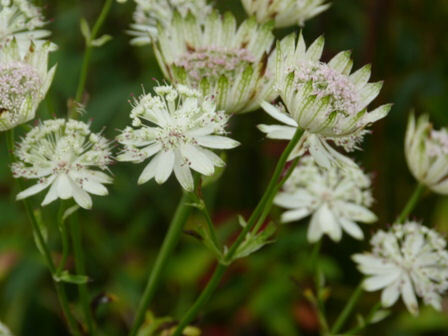 This cream astrantia (much admired in my garden) provides a lighter contrast to the purple flowers. 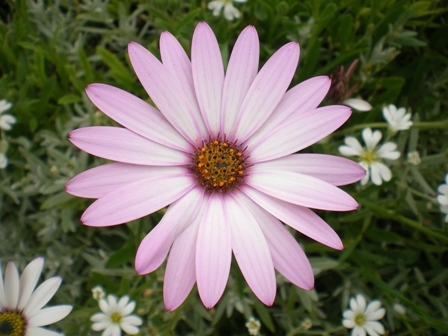 Or underplant with the delicate perfection of the pale pink osteospermum, which also goes with anything purple, deep pink or cream. You could also try for zingy-green hostas and heuchera to make all the colours really stand out. The bright green, pink and purple flowers look great together! Or, if you're very brave, for maximum impact, plant your solanum with a yellow or orange rose to highlight the vibrantly-coloured stamens! All you need to do is cut out overcrowded growth in spring. 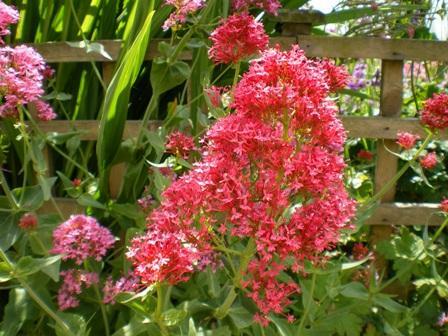 On established plants cut back unwanted stems to 2-3 buds from base. If your plant becomes overgrown cut out 1 in 3 stems each year. I hope these ideas have inspired you to have a go at growing this fabulous climbing plant yourself. Just remember to give it the protection it needs and I'm sure it will thrive happily in your garden and give a wonderful display.